The Harvard Professor of International Affairs is one of the leading scholars in International Relations. He is a contributing editor at “Foreign Policy” magazine and co-editor of the “Cornell Studies in Security Affairs”. Walt’s books include “The Origins of Alliances”, “Taming American Power: The Global Response to U.S. Primacy”, and the “New York Times” best-seller “The Israel Lobby and U.S. Foreign Policy (co-authored with John J. Mearsheimer). "Iran is the main beneficiary of the Iraq War"
The Iraq War did not only change Iraq, it also changed international relations. 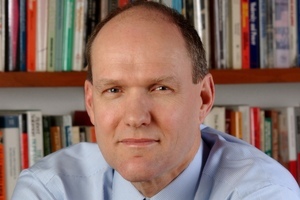 To mark the tenth anniversary of the intervention, Harvard professor Stephen Walt talked with Max Tholl about the repercussions the war had on American foreign policy and the future of humanitarian interventions.